You probably won’t find it surprising that we who drive flashy new cars all the time can be a pretty jaded lot — a mindset I confess myself guilty of now and then. But once in a while I drive a car that really wows me in some unexpected way. In this case, I was wowed by value, in a very unpretentious car with plebian aims, Hyundai’s compact Elantra sedan. Yes, a Hyundai. In case you haven’t been following the automaker’s sales figures, J.D. Power standings, IntelliChoice ratings, and Consumer Reports reliability figures, in the past five years Hyundai has made amazing progress in every respect, and its cars are no longer a last-resort choice for car buyers, now seeking them out as some of the best values. 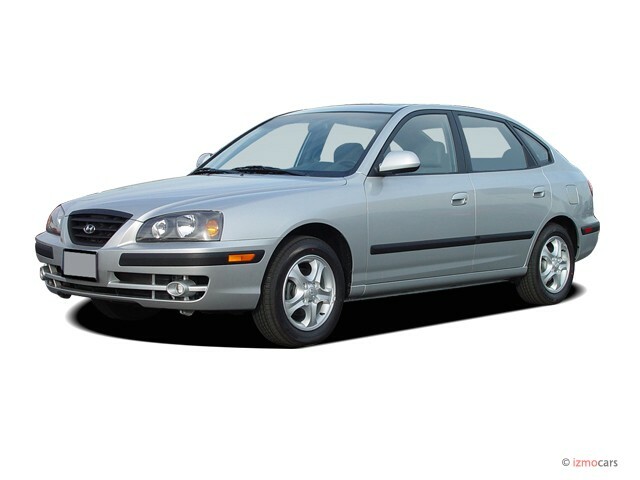 Since its introduction for 2001, the current-generation Elantra has found almost universal praise. 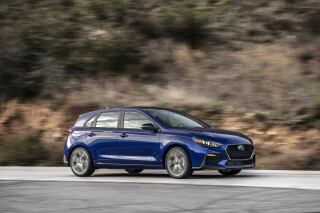 Looking only at features and specifications, the Elantra stacks up almost identically alongside so-called segment leaders like the Honda Civic, Toyota Corolla, Mazda Protégé (now to be replaced by the new Mazda3), Volkswagen Jetta, or Ford Focus. The Elantra is of a similar size to that competition, and similarly laid out, with a 135-hp, 2.0-liter in-line four and either a five-speed manual or four-speed automatic transmission, along with front wheel drive and a strut-based front suspension. Basic small-car formula aside, all Elantras add a fully independent rear independent suspension and speed-sensitive power steering — both features that aren’t offered in all of those competitors. The sporty GT sedan we tested, which adds a tighter “Euro-tuned” suspension, four-wheel disc brakes, sport-tuned steering, and 15-inch alloy wheels, plus many other comfort, convenience, and appearance extras, we found to be a “must-have” package because it makes the Elantra a capable, well rounded sporty sedan that can handle all the power its engine can deal out. From the driver’s seat, the Elantra could easily be mistaken for a much more expensive car. 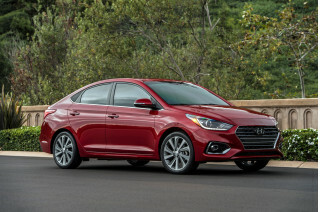 Overall, the Elantra’s Hyundai-designed engine, like most other competing powerplants, makes most of its power in the higher revs (its peak torque of 132 lb-ft is reached at 4500 rpm), but the engine is surprisingly flexible and refined in most normal driving conditions, making enough torque above 1500 rpm to pull slowly but confidently in any of the five gears of our manual transmission-equipped test car. 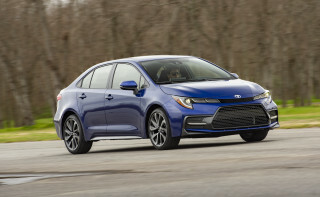 It’s a more flexible powerplant than that of the Toyota Corolla, for instance, and it’s virtually vibration-free throughout the rev range thanks to hydraulic engine mounts, counterweights, and a stiffened, ribbed engine block design. Though the engine seems perfectly happy lugging at the low revs, to extract serious performance out of it you have to keep up the revs. Power seems to rapidly build up above 3500 rpm, but the sound becomes coarse and loud just above 4000 rpm. Even then it’s well isolated; you hear the engine but don’t feel it. The five-speed manual gearbox has nice, light yet deliberate motions between gears. Its clutch linkage is also smooth, progressive, and forgiving — the type that you’d want to teach a new driver on while avoiding whiplash. Based on the engine’s power curve, we’d expect the Elantra to be quite livable with the optional four-speed automatic, though the five-speed manual is still a better choice for the best performance, fuel economy, and, for most drivers, enjoyment. The Elantra stops and steers well, too. Pedal feel is firm, and the four-wheel discs have the capacity to haul down speed much more confidently than other small cars costing much more (at least on dry, even pavement, as our car was sans ABS). 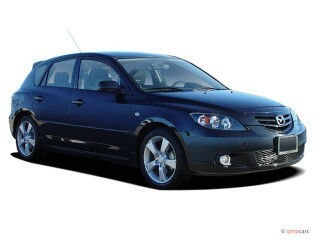 The steering is a nice rack-and-pinion unit, of course, but if offers a decent level of feedback. Assist is speed sensitive, so you don’t get much feedback or feel at low speeds but on higher-speed S-curves there’s decent road feel coming back through the wheel. All in all, in driver enjoyment, the Elantra is a pleasant surprise. It had been a few years since I’d driven an Elantra, and, quite frankly, I didn’t expect to be very inspired behind the wheel, but the combination of the rev-happy engine, snappy gearbox, and sharp handling made the little sedan a near-perfect companion for battling through clogged urban streets without frustration. What’s most impressive is the way in which the GT’s suspension balances a supple, quiet ride and relatively sharp handling. We would have liked even less body motion (railroad tracks tended to bring out a full-body “bounce”), with a suspension tuned yet firmer, but we predict most people who enjoy driving and try both the standard GLS and the GT will prefer the tuning of the GT. It hits a happy medium for most roads, contrasted with the stiffer-sprung but noisier Protégé and the softer but rather uninspiring Corolla. 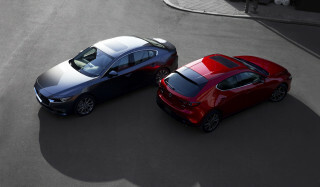 Our single lingering complaint with the powertrain and driving experience is that there’s inadequate engine braking. It feels as if the throttle is stuck slightly open all the time until you reach a stop. We’ve seen this in more new cars in the past few years and have been told by several powertrain engineers that opening the throttle a bit to reduce engine braking is a “trick” used to get some vehicles through tighter emissions without major engineering changes. If this isn’t the case, where’s the engine braking? Inside, the Elantra doesn’t have the trendy silver-gray interior trim that’s become so requisite among new cars of the past couple of years. Fortunately, there are no halfhearted, cheapo trim attempts that try to replicate wood or carbon fiber. Interior materials aren’t the best in class, but they stay simple and tasteful, with dark plastic surfaces that look like they won’t show much wear over time. The Elantra’s assembly quality is top notch. We couldn’t find any uneven gaps, loose trim pieces, rattles, or squeaks at all, which is unusual, especially in such a low-priced car. Throughout the car, doors slam tightly, interior bins close precisely, not precariously. If most Elantras are put together nearly as well as our test car, we’re awestruck. Seating is a plus, too. In front, nicely contoured bucket seats provide firm support for bottom and back, along with a decent amount of lateral support, and they’re adjustable for height and tilt. They enable an enthusiastic, ‘forward’ driving position. They’re simple in design but so much better than the flat, unsupportive seats used in the Saturn ION, to name another competitor. The Elantra’s back-seat bench is typical, but the packaging allows enough space for two normal-size adults. While the supportive seats and roomy design were a surprise, the plasticky, cheap-feeling leather upholstery was a disappointment and sore spot. Most would probably agree that a nice patterned or textured cloth interior would look and feel much better in this vehicle. And while we’re at it, we had a gripe with the way anti-lock brakes are offered in the equipment list. While side-impact airbags are standard for all Elantra models, but anti-lock braking — an essential accident avoidance item in regions with snowy, icy winters — is only available on GT models as a $1225 option, bundled with traction control. With the GT package, Elantras do come equipped with a long list of comfort and convenience features all standard. 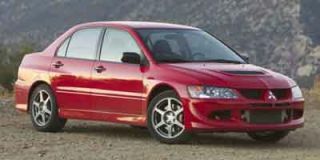 There are few options, the most significant being the aforementioned ABS package and a moonroof. A new Kenwood MP3-compatible premium audio system with remote control and a removable faceplate is now a $750 option. When it comes down to it, the Elantra just manages to do some things better than the competition, before you even begin to look at the bottom-line price. It has comfortable, adjustable seating in front, a back seat that’s not downright painful for two average-sized adults, a ride that doesn’t deteriorate seriously with a full load, and a refined powertrain. 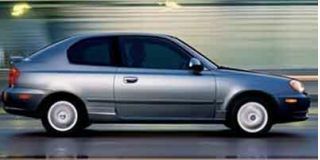 Weaknesses include a smallish trunk (due to the rather low decklid), and unimpressive gas mileage, at least when you compare it to class-leading Civics and Corollas. On the subject of that trunk, for a small car like this I’d much rather have the more versatile and practical hatchback body style — only offered in Elantra GT trim — which allows for flexible cargo space and in my humble opinion also has a slightly more attractive profile. At the end of the week, when we picked the window sticker back up and looked at the bottom line, I found some sticker shock of the unusual kind. The car bottom-lined in the fifteen-grand range. 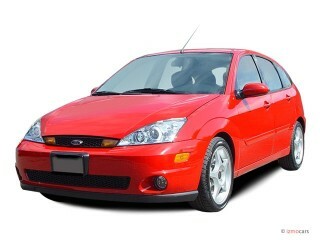 Looking at value — which is what most shoppers for this type of car weigh heavily — Elantra wins. Hyundai’s managed to carve a distinctive personality for the Elantra GT hatchback and sedan in a same-as segment of the car market, with tight assembly and an amazing warranty to boot, and it costs less than most of the competition (even with today’s incentives). What’s not to love? Soon, everyone else is going to catch on. You take care of it it will take care of you. 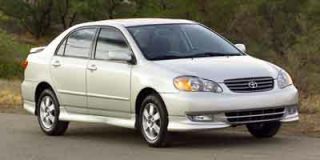 My 2004 Elantra has almost two hundred thousand miles on it and I have had zero problems very reliable car. Yes I will be getting a new one eventually.